This week we have another great line up for you. Puzzle are an excellent band with brilliant songs. They are great players and the songs are full of catchy melodies. They've played for us before but we haven't seen them for at least 3 months so it's great to have them back. Hooos are also back again as well, this band keep getting better and better. The songs and performances are very engaging and quite unlike other bands. 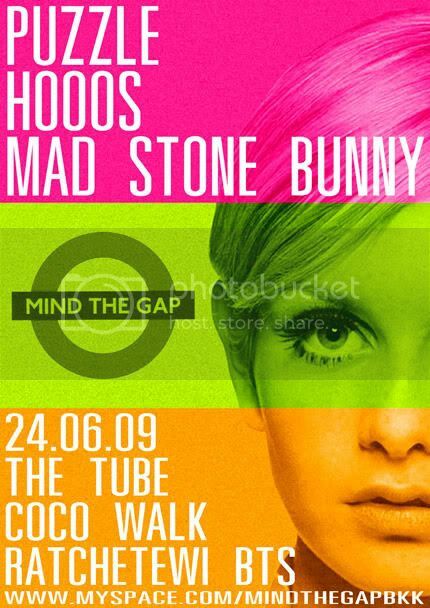 We are pleased to welcome for their first show Mad Stone Bunny. They've got and early 90's vibe about them and were very keen to see what they can do.